Harbor View is a magical place and as nice and peaceful as its owners. The balcony view is GRANDIOSE, probably one of the most beautiful on the island. I thank again Gail & Don for their warm welcome, their very good advice to make our stay perfect… and help received after the puncture of my car tire the day of my arrival! Thank you for everything and don’t hesitate to go to Harbor View … It’s Paradise! As vacation rental property owners we feel a responsibility to ensure that our guests get the maximum pleasure from their vacation. But we have to draw a fine line as on-site owners between respecting our guests privacy and helping them get the most from their valued time. When a guest arrives we are well aware that it can be overwhelming after an all day travel experience to be in a new country, a new island, new accommodation. where to go?, what to do?, what not to do? The answer is a “Welcome to Harbour View” book. It’s there in the lounge for them to read and benefit, as and when they are relaxed; in their own time. So when they arrive we only have to greet them and point out a few basics, such as operation of the air conditioning. How to contact us if they have a question, or are looking for local knowledge. The Welcome book is divided into chapters. The first chapter relates to a few house facts. Such as; our internet details. We are on a well so we appreciate guests being frugal with water. That we recommend they use bottled water (where to get it, where to get bottles refilled) for drinking. The second chapter is about traveling. Guests are advised to rent a car in advance of their arrival. So we remind that we drive on the left. That they should put our phone number into their mobile phone or take one of our business cards so they can contact us if they experience a problem. Similarly they are encouraged to take the welcome book with them. The third chapter is a comprehensive list of the many beaches that they can visit. Each beach is shown on a map with the distance from our house. So that if they set the mileometer to zero when they leave the home, their beach destination is known to be “x” kilometers away. The beach is described by size, whether there are shells, shade or which is best protected from winds. The fourth chapter is a comprehensive list of restaurants. Again we give directions, show each on a map, and give the distance. We also enclose a menu in order that they can get some idea of the range of costs and whether they have specialities… asian food….. Bahamian fare. And most important, the contact phone number and which days they might close. There is nothing worse than getting all dressed up and driving 20 minutes to find some restaurant is closed. The fifth chapter is a list of special excursions that are available. 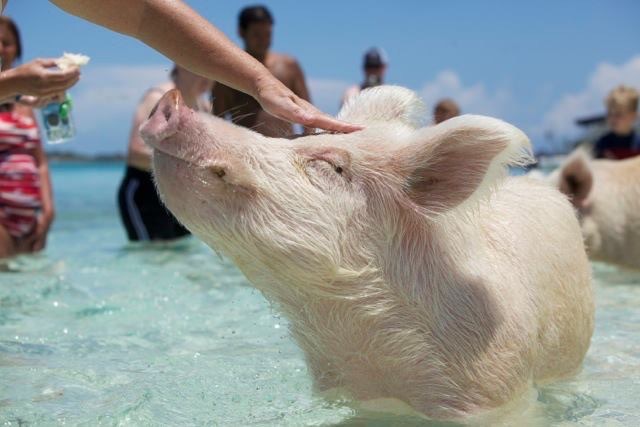 These range from fishing guides (bone fishing is very popular in Exuma), scuba trips, ATV guided tours, kiteboarding lessons, and of course the most popular at present is the “swimming pigs” trip. 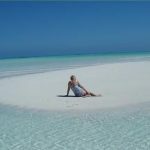 This is an all day boat trip through several of the nearby tropical islands with stops to see, feed and swim with wild pigs on a deserted island, see and feed wild Iguanas found only in Exuma, to swim with (or not) nurse sharks, and to swim and explore Thunderball Cave, made famous in two James Bond films. An exciting and a trip to remember. Well our book tells you who runs the trip, who to contact, how much it costs, and where to go on the big day. So what have I learned from writing this story? That I can improve my welcome book. I can add photos. I can make my welcome book more interesting to my valued guests. In fact I think I will devote some time to making my book, not just factual and informative, but make it a coffee table book and find out how much it would cost to print and present to our guests as a thank you for staying with us. If the improved version sits on their coffee table it could be talking point with friends and, who knows , maybe a new enquiry?? Just yards from our home, Harbour View, and in less than 10 foot of water lies one of the best snorkel spots in Exuma. Located just off shore between Hartswell and Moriah Harbour Cay. While the area of the reef is not large it is well populated with all sorts of fish, from medium sized Grouper and Permit, to the dreaded Lion Fish, and even some lobsters, It’s a rewarding swim. Moriah Harbour Cay is a marine reserve and has some of the best beaches in The Bahamas. But that is only part of the story. Because Moriah Harbour Cay is an island, a deserted island, access is limited to those with a boat or kayak, so it is unusual to see another person. 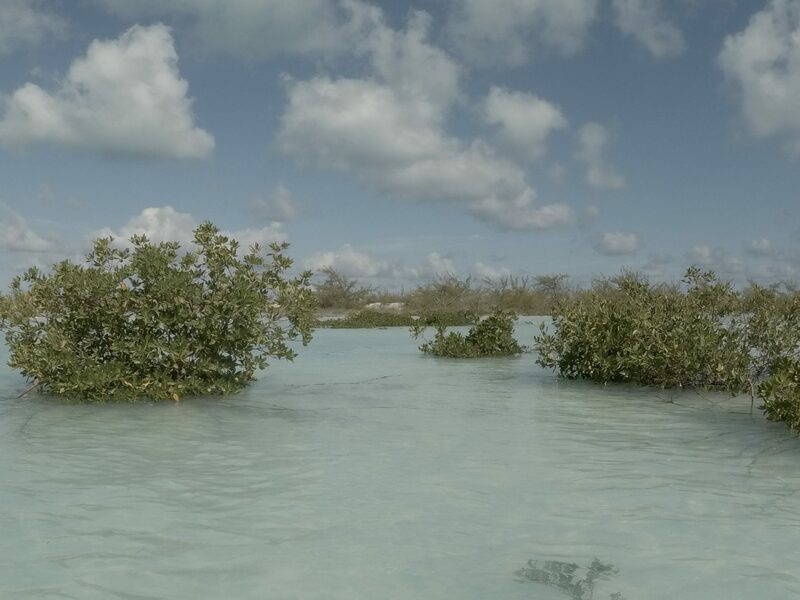 I regularly kayak across to the Cay and enjoy a leisurely walk along the edges of the lagoon that takes up the center section. Depending on the state of the tide you will see baby sharks, that approach you to see what is causing the noise as you paddle, they come within feet until they realize your size at which point they turn tail and accelerate. The same applies to baby rays that live amongst the mangroves. The M/V Alucia, which is operated by ocean exploration organization OceanX, visited CEI twice. The first mission took place over six days in April 2018 and was a learning experience for the Bahamas-based research team. Moored off the Eleuthera coastline, the M/V Alucia attracted a lot of attention, with around 400 visitors touring the boat before the work began. Students from The Island School, an educational facility attached to CEI, and the local Deep Creek Middle School were enthralled by the high-tech vessel, which includes a helipad, fully-equipped science labs and the two manned subs. Even the more experienced members of the faculty were impressed. For that first mission, the team had the choice of two subs – the Nadir, a Triton 3300/3 sub capable of accommodating two passengers and a pilot, and the Deep Rover, a two-seater vessel fitted with a Shilling T4 manipulator, a robotic arm designed for collecting specimens and operating sampling tools. Both subs can descend to 1,000 meters (3,280 feet). The subs explored the rocky terrain of the Exuma Sound, which includes a vertical wall that descends down 200 meters (656 feet) and ends in a steep slope marked with boulders, rock falls and ridges. 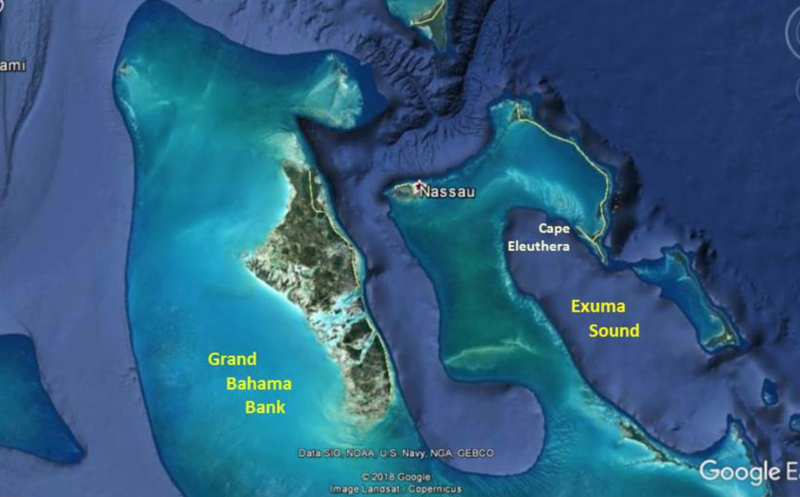 Between 300 meters (984 feet) and 500 meters (1,640 feet), on the edge of the Exuma Sound wall, the team found various species of echinoderms (starfish, sea urchins, and sea cucumbers) and a previously undocumented species of glass sponge. They also collected samples of sea cucumbers and crinoids at 630 meters (2,066 feet). 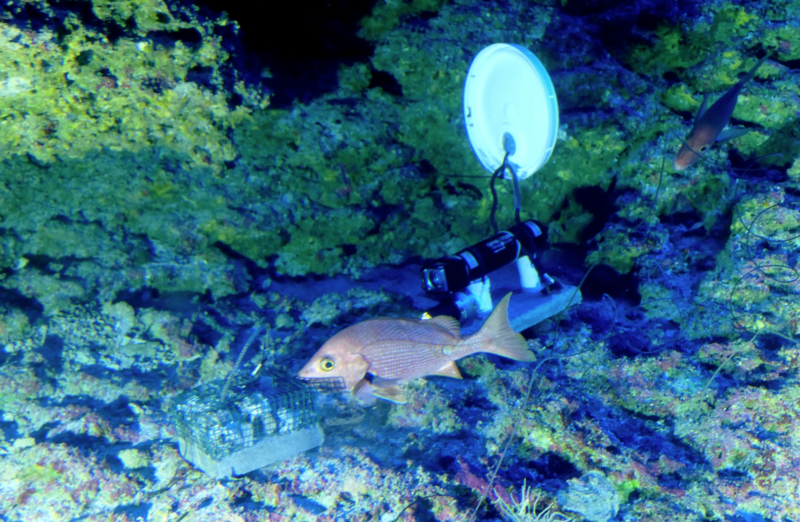 Alongside samples, the team collected valuable footage of life on the ocean floor. They rigged up bait boxes with cameras on timers, synced with lights, to capture deep-dwelling fish such as night sharks. 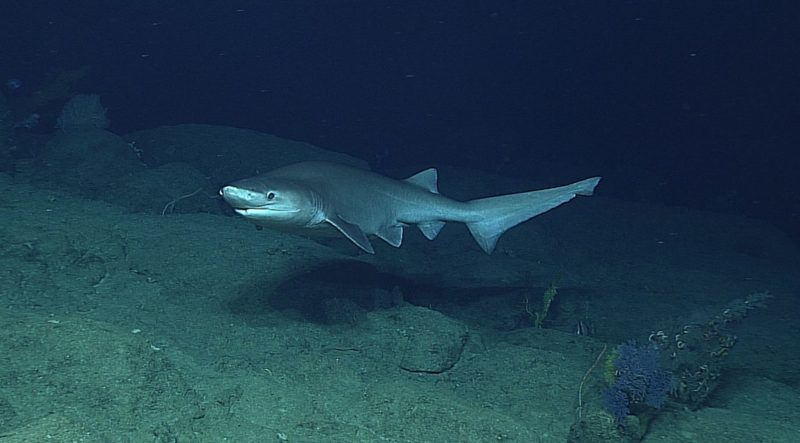 Dr. Dean Grubbs from Florida State University, which partnered with CEI on the mission, led efforts to tag a notoriously elusive deep-water predator, the bluntnose sixgill shark. The sixgill is one of the oldest sharks in the ocean but learning more about the species has proved difficult. Tagging a sixgill shark usually involves dragging it up to the surface, putting the animal under extreme stress. Part 3 of this story will follow shortly. Public holidays in The Bahamas are something you might consider when booking a vacation. Why? Well not only will it mean that the shops will be shut, it also has an effect on flight costs which often increase due to the higher demand as people take the opportunity to travel. On the positive sign it often means that there is a Junkanoo parade, a colorful street parade with elaborate costumes, music and dancing. Public holidays in The Bahamas include the ones we all love and know such as Christmas Day, New Years Day, Easter Monday and WhitMonday and Good Friday. But we need more days off from work and time to let our hair down so in The Bahamas we thought up a few new excuses to have a good time. First on January 10th we celebrate Majority Rule Day which officially “symbolizes the promise of equality and fair play for all”, unofficially its a day at the beach, its a day for a family picnic….Yes we can spend a day at the beach in Exuma in January (don’t forget the sun screen). 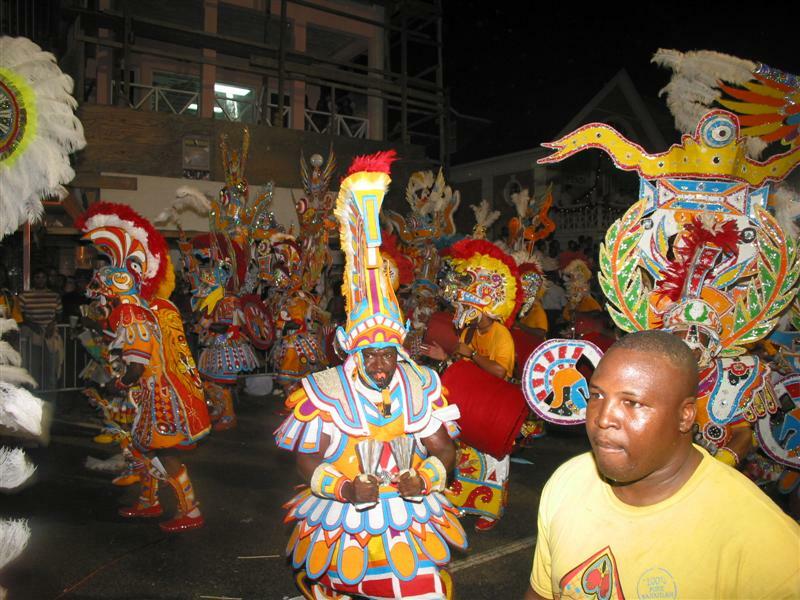 Next public holiday in The Bahamas is the first Friday in June when we celebrate Labour Day. This is the day when we celebrate the hard work and prosperity provided my the islands work force. Picnic time! Another public holiday is July 10th when we have Independence Day celebrating The Bahamian day of independence from Great Britain while still remaining a member of The British Commonwealth…. off to the beach again! August 15th is the next local Bahamian public holiday. This is Emancipation Day which celebrates the 1834 abolition of slavery…… BBQ on the beach! On October 12th the next public holiday in The Bahamas is National Heroes Day. It used to be called Columbus Day to commemorate the day that Christopher Columbus landed on Watling Island (now called San Salvador ) but as doubt was shed on that claim, the day was renamed in 2012 and now we celebrate famous Bahamian persons of merit, some sports related, some politicians, or someone who has achieved something remarkable. Then the last public holiday in The Bahamas is Boxing day which is copied from an old British custom. The day after Christmas Day was a day that the landed gentry reversed the roles and they devoted the day to their servants. the wealthy would wait at the table serving their servants and would present each with a box with a gift, hence Boxing Day. The Bahamas adapted this tradition and the wealthy land owners gave gifts to their slaves. We cannot talk about public holidays without mentioning the one event that occurs on many of those days, especially Boxing Day and New Years Day. Then we are entertained with Junkanoo. When rival communities dress in elaborate brightly colored masks and outfits and parade through the town along with their band of musicians and dancers. They are judged by local personalities and one community is awarded the coveted prize as the best. So come on down to Exuma and see Junkanoo and explore our beautiful island. We at Harbour View would love to have you stay with us in our luxury home overlooking the deserted islands that are just a short kayak paddle away. 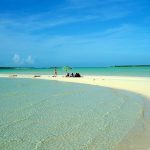 Have you considered spending Christmas in Exuma? Why spend Christmas in frigid temperatures doing the same old same old? Exercise that spirit of adventure and do something different this year. 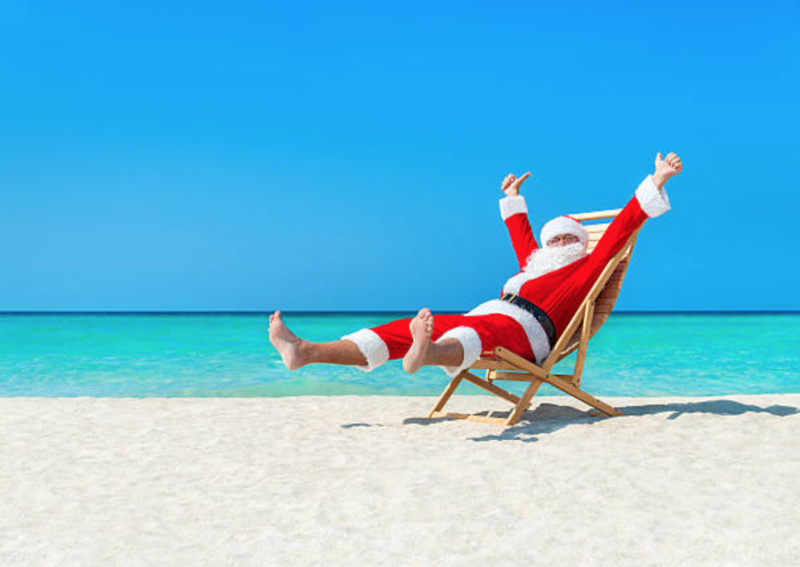 If you decide it’s time for a change then why not go somewhere where the Christmas weather is warm? A tropical island maybe? 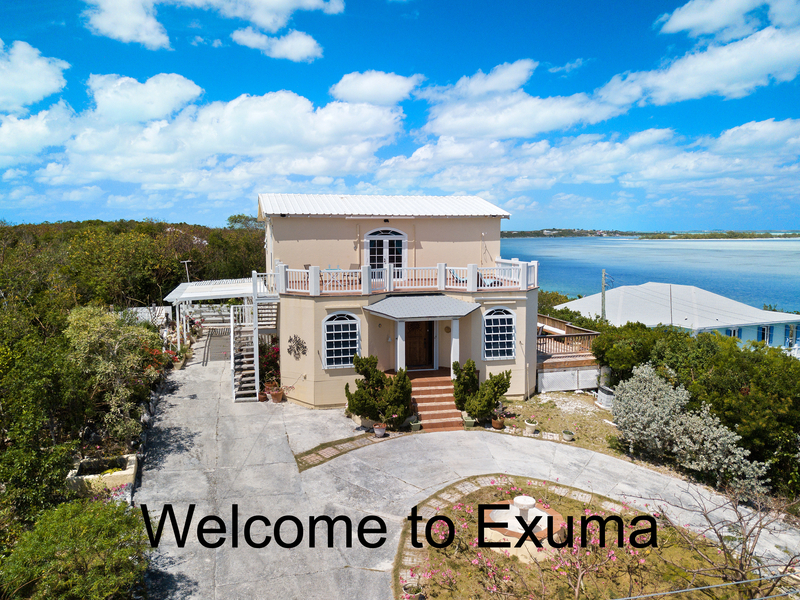 Come to Exuma and instead of spending your morning slaving in a kitchen preparing the turkey; have a leisurely coffee or Proseco on the balcony over looking the Ocean, then head for the beach and work up an appetite with your toes in the pale blue water. Celebrate the 70 degree temperature and avoid the traffic and crowds. Why spend your time getting a celebratory meal ready? 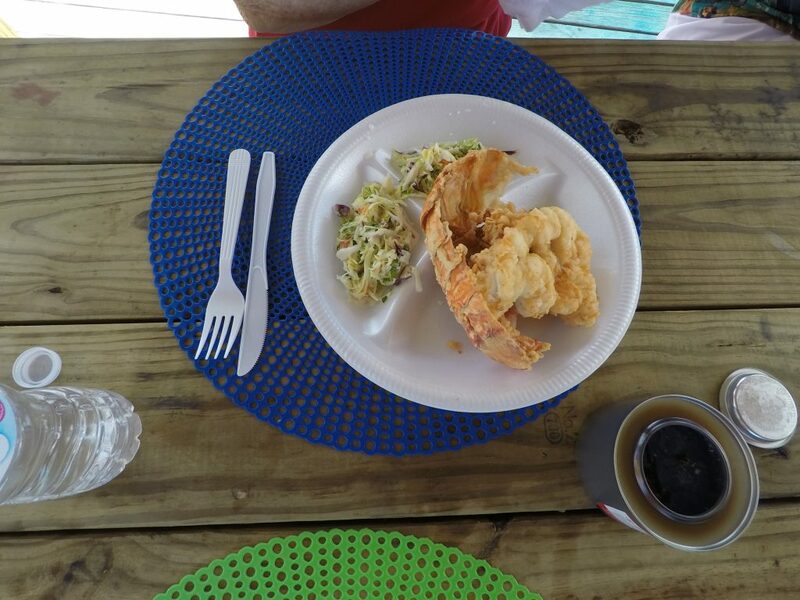 This Christmas in Exuma let someone else plan the delights. There are several options for your Christmas festivities. You could be at one of our famous beachside restaurants, Santanna’s or Tropic Breeze, sitting in the sun (or the shade), enjoying a rum and coconut water, or maybe a Bahama Mama.. Hey you are on vacation!!. alternatively you could be at the Rusty Anchor, inside but still enjoying the view, appreciating a gourmet meal. Still have some energy left? Get the water taxi over to Stocking Island and spend a happy hour or so feeding the Rays in the shallows and appreciating how great and different your Christmas has been, just you and your partner, a tropical island and idyllic accommodation at Harbour View. We have availability from mid December through Christmas and would love to have you share our home. ….. Enjoy !…. Merry Christmas (in Exuma). 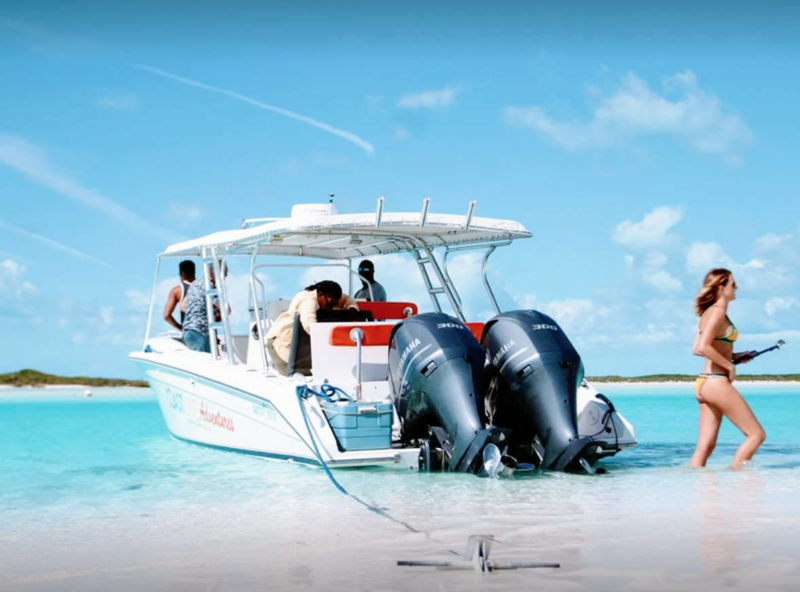 One of the leading providers of adventure trips in Exuma is Out Island Explorers. A family run business headed by Tamara and Dallas, with help from their photogenic boys, Joss and Emit. 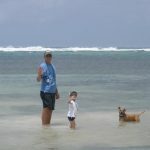 Whether your interest is kayaking, sailing, fishing or snorkeling, Out Island have you covered. Their kayak trips range from a daily rental trip in company with others, with a variety of start points so you can explore different areas of the famous blue waters. Next on their agenda are trips over several days. These usually follow a route through the Exuma Cays with camping each night. 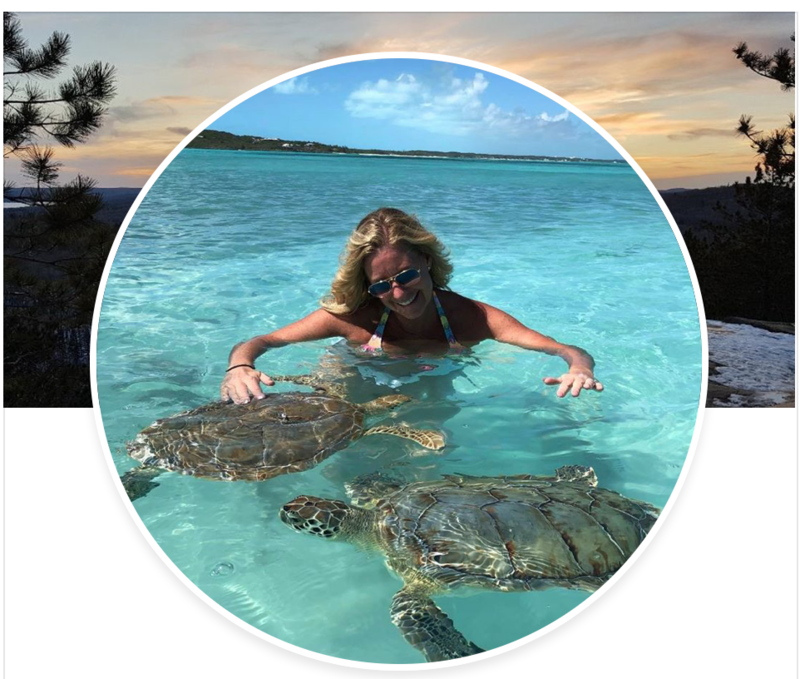 The most exciting trip is probably through the worlds first marine park at Waderick Wells Cay, where because of the no fishing rules, the many species of fish, turtles and lobsters are among the largest and more plentiful you are likely to see. 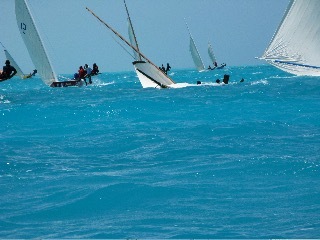 Out Island Explorers also run sailing trips. 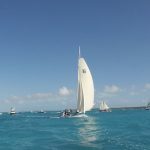 Their fleet of 21ft shallow draft boats can sail the leeward waters of the islands which are sheltered from the Atlantic resulting in sailing in calm seas enabling you to see through the shallow waters. The fleet is accompanied by the Out Island staff, with camping at night and camp fire meals. 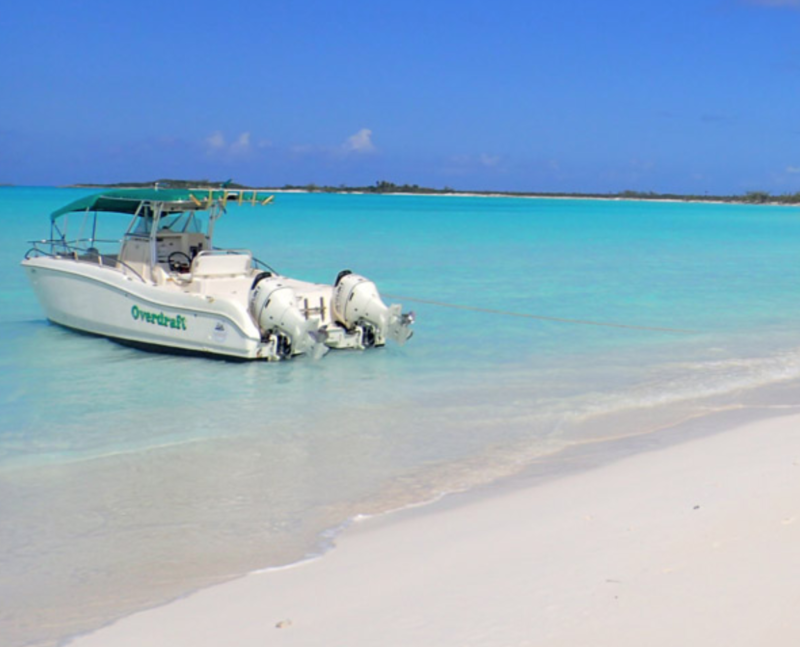 Trips vary from two or three days to an extended trip to Staniel Cay with a flight back to Exuma. In addition Out Island Explorers also have a Hobie Cat for rent by the day, or the week. So, contact Dallas and Tamara for full details and make your Exuma vacation that much more memorable while you stay at Harbour View. Every year from November onwards cruising yachts start arriving in Elizabeth Harbour in Exuma. Then over the next two months we get a daily intake, weather permitting, of more yachts until we have a fleet of around 400 cruising yachts in Exuma. 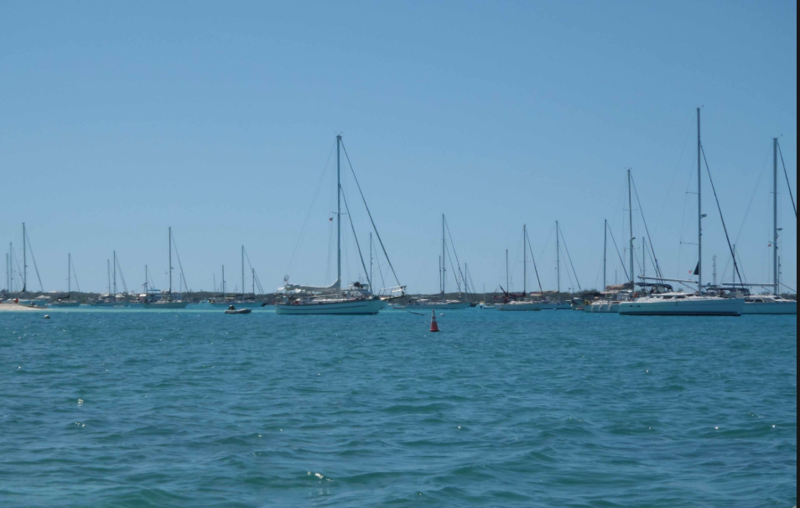 The boats arrivals coincides with the end of hurricane season and on a calm day you will see a line of sails on the horizon approaching the entrance to the harbour. Each yacht will fly a flag at the stern of their boat, the flag of their country of registry. So you will see mainly US Stars and Stripes, Union Jacks, and Canadian maple leafs. Amongst that fleet will also be boats from many Europian countries and probably some Australian. As they arrive they will fly a yellow flag from the spreaders which indicates that the yacht has yet to check in with customs and immigration. Some yachts are live-aboard cruisers, whose boat is their home, many of them will live on board for several years and some have children aboard. Some are snowbirds, heading south to escape the winter weather others will be cruising the Caribbean islands. The boats vary in size and design, from 30 foot monohulls and catamarans, to 100+ foot mega yachts. With 400 boats that equates to over a thousand persons, which obviously plays a significant part to the local economy. The social life of the boaters is pretty hectic with daily volley ball matches, mass organized dinghy trips to various beaches and restaurants and culminating with week long festivities at the cruising regatta. Events will include competitions in: The round-the island-yacht-race, talent shows, treasure hunts and sand sculptures. Each morning the boats will listen to their vhf radios for weather forecasts and if there is a threat of strong winds in the future days then they often move their vessel to a more sheltered location, which is easily done in a large harbour that encloses many smaller islands. 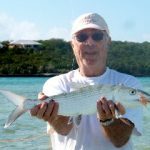 The season starts in November and runs through to Easter, when many either start heading North to their summer home, or head South to continue their Caribbean or even their circumnavigation.